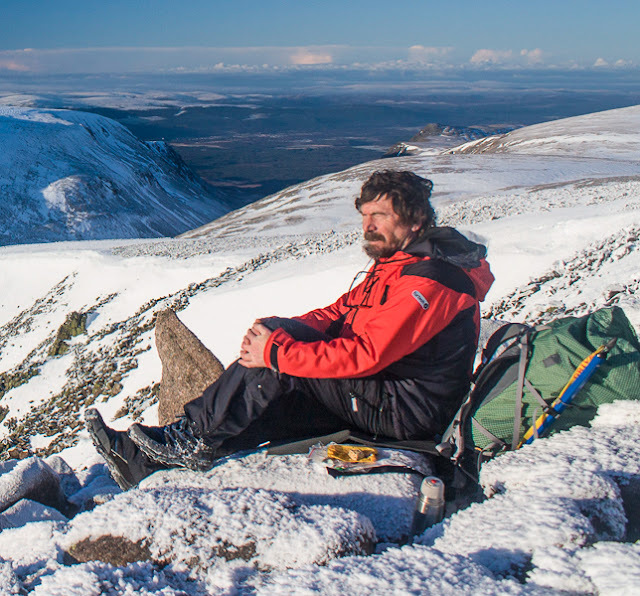 On the Cairngorm Plateau, November 2016. The first snow is on the tops. There are noticeably more hours of darkness than light. Winds bite more, rain feels colder. This is the time of year when my hill footwear of choice changes from trail shoes and, in the warmest weather, sandals to lightweight boots. The advantages of lightweight footwear have become more accepted in recent years, at least for summer use. However there is still a view that heavy stiff boots are needed in winter, on the basis that you need the stiffness for security on snow and so that crampons can be used when necessary. In fact, the reasons for wearing lightweight footwear – less tiring, more comfortable, allowing the feet to move naturally – are just as valid in winter. Boots are often labelled 3, 3-4 or 4 season, with the idea that only the last two categories are suitable for winter, and 3-4 season only just. Actually, all this labelling tells you is how stiff footwear is and whether it’s suitable for winter climbing. For hill walking these categories are meaningless. A 4-season boot is really a snow and ice climbing boot not a winter walking boot. Wet feet, which are no more than a nuisance in summer, are much more unpleasant when it’s cold. Keeping your feet warm and dry doesn’t have to mean heavy, thick boots though. There are other, more comfortable, ways of achieving this. If you rely solely on your footwear to keep your feet comfortable when it’s cold then heavy boots can do this. However careful choice of socks plus the use of gaiters can mean that your feet stay warm even in light non-waterproof footwear. Many years ago I spent two weeks backpacking in the White Mountains of New Hampshire in October. The weather was stormy, with wet snow falling most days, and the trails were ankle deep in slush. My trail shoes were soaked most of the time yet my feet stayed warm because I was wearing waterproof/breathable Sealskinz socks. By the end of each day these were damp inside and my feet felt cool when I stopped to camp so in the tent I changed into thick merino wool socks. Turned inside out the SealSkinz socks dried overnight in my sleeping bag and were ready for wear the next day. They didn’t stay fully waterproof but they kept the wind out and so my feet stayed warm. When cold weather backpacking I always have dry thick socks or insulated booties for camp wear. Sometimes I take both. In the White Mountains it wouldn’t have made any difference if my shoes had had a waterproof/breathable membrane lining (they didn’t) as the slush came over the ankles at times. However a waterproof lining can help keep feet dry and warm in the cold and I don’t mind footwear with a waterproof lining then, though I find one too warm outside of winter conditions. Of course you need to keep snow and water out of your footwear, whether membrane-lined or not, if you don’t wear waterproof socks. Gaiters are the answer here of course and the combination of waterproof lined lightweight boots, thick wool socks and gaiters is very effective. For gaiters to be effective they must cover the uppers of the footwear, which means most don’t work well with low-cut shoes though they’re fine with mid-height boots. I don’t really like wearing gaiters though so they often stay in the pack, only being worn if the snow’s deep or there are bogs or mud to wade through. For much winter walking the main concerns are keeping your feet warm and dry. However once there is snow and ice on the hills everything changes and walking becomes much more serious. The main concerns then are safety and security, which means being able to negotiate snow slopes and ice patches without slipping. This is where some people insist that heavy, stiff boots are the only suitable footwear. Indeed, whenever I suggest that lightweight footwear can be used safely on snowy hills I’m accused of giving dangerous advice. So let me make it clear in what conditions I find lightweight footwear okay. I’m talking about hill walking and backpacking on the same terrain those activities are carried out in summer. I accept that for technical snow and ice climbing stiffer footwear is required. 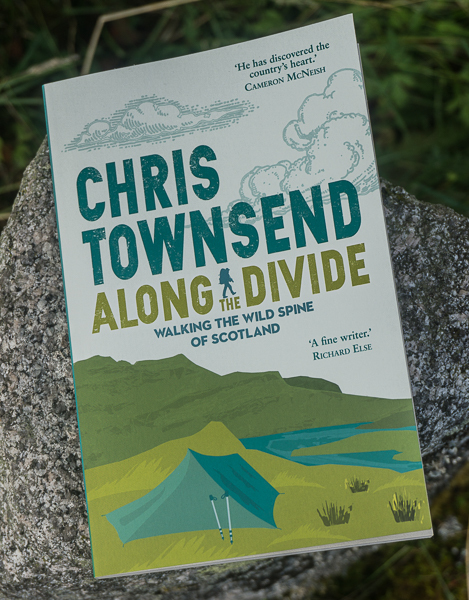 But most walkers don’t venture onto such terrain and don’t require heavy, stiff boots let alone specialist mountaineering ones. Kicking steps in snow might be required in places though so footwear with hard toes is a good idea. Footwear that’s reasonable stiff side to side is useful too as it’s easier to kick the edges into the snow when traversing. However there’s no need for stiffness toe to heel, as this just makes walking harder and more tiring. Flexible footwear is fine in the snow. Hard snow and ice requires crampons and here the voices demanding heavy, stiff footwear become more vociferous. There’s still a strong belief that crampons can only be fitted safely to stiff or semi-stiff boots. It’s not true. 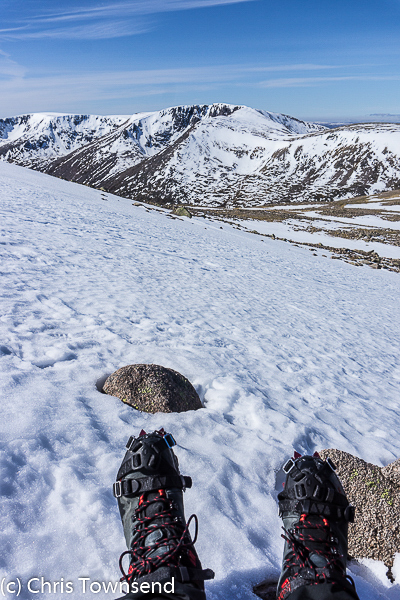 It’s always been possible to fit walkers’ crampons to flexible boots. Often boots are given a rating that is supposed to say whether they can be fitted with crampons or not. Lightweight boots and shoes always come in the B0 category, meaning unsuitable for crampons. In fact they’re not unsuitable for crampons at all and I recommend ignoring these ratings. Shops often use them and say they can’t or won’t fit crampons to lightweight footwear. In that case I’d take your custom to a more enlightened store where the staff don’t say you must have heavy, uncomfortable boots to use crampons. Such advice can itself be dangerous. I’ve met people in the hills without crampons in conditions that warranted them who after being told they needed expensive stiff boots to wear crampons decided they’d do without and go anyway. 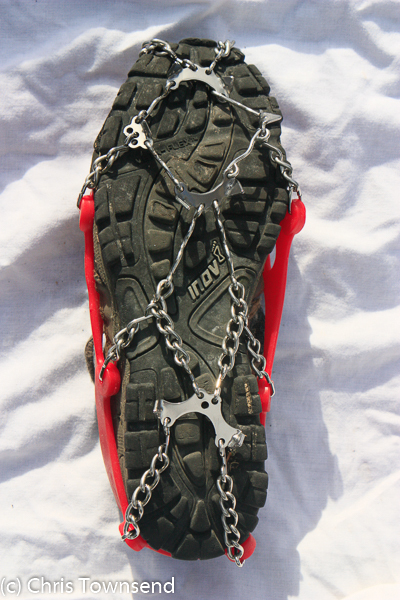 In fact there are now crampons designed to fit almost any footwear, even running shoes. 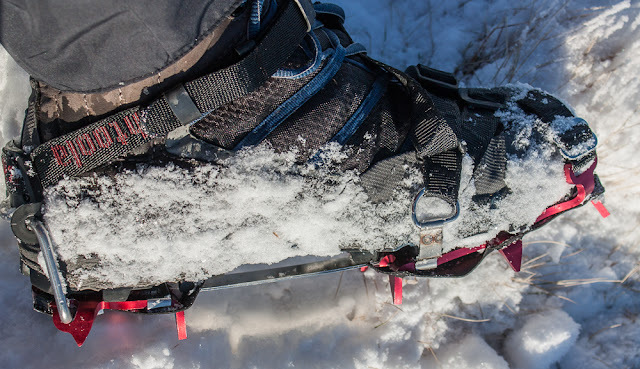 Walkers’ crampons have a flexible bar connecting the front and rear of the crampons, which means that the crampons can flex with footwear. Stiff crampons require stiff boots because if the boots flex and the crampons don’t the crampons could come off or even break. I’ve used quite a few different types of flexible crampons with flexible boots without problem. The lightest are made from aluminium. These aren’t very tough however. I’ve blunted a pair of aluminium crampons in a few hours when walking over icy rocks. Steel is harder and also easier to sharpen. If you’ll be wearing crampons much I’d go for steel ones. Crampons need to fit of course and you should be able to pick up the footwear by the crampons and shake it without the crampons coming loose. In use it’s best to keep as much of the crampon in contact with the ground as possible so that all the points bite. Here flexible footwear is useful as it allows you to flex your ankles. Balancing on the front points of the crampons is hard work if at all possible and not very stable – you do need stiff boots for this. If you’ve not worn crampons before it’s best to practise on safe slopes. Often crampons are only needed for short periods when crossing hard snow or ice. In soft snow they can be a nuisance and it’s best to take them off unless you know you’ll need them again soon. Sometimes however crampons are needed all day and despite what many people say they can be worn comfortably with flexible footwear for long periods of time. 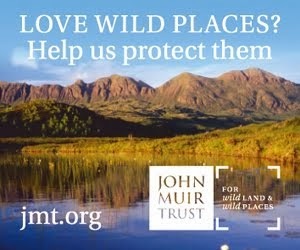 Once I wore a pair with Keen Targhee Mid boots for a crossing of the Cairngorm plateau to Ben MacDui and back. There was little snow but sheets of ice between every rock. Without crampons walking was difficult and dangerous. I put the crampons on long before I reached the plateau and kept them on until I was almost back down. 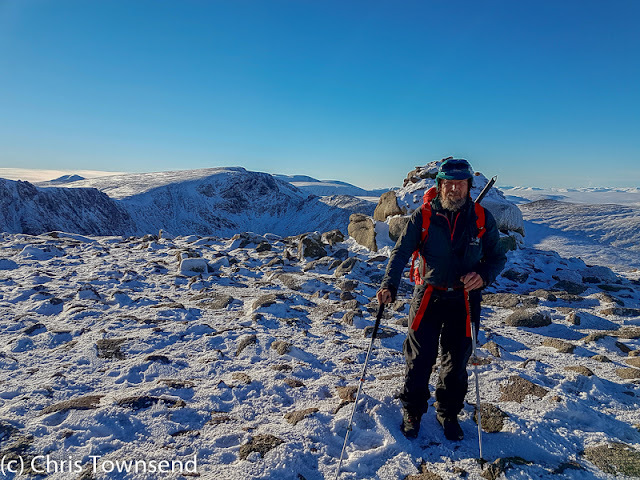 The terrain was difficult and unforgiving – rock, ice or frozen ground – and much harder to walk on than snow yet throughout the day I felt secure and the boot/crampon combination was very comfortable. A lighter alternative to crampons are micro spikes and similar. These are okay on gentler terrain and can be used on steeper ground with care. On an ascent of Bynack More on hard icy snow I reckoned I’d reached the limits with a pair of these. I had to tread more carefully than with full-size crampons and I made sure my ice axe was firmly thrust into the snow before each step. Thanks of the article, very interesting. Over here in Colombia, I've sometimes seen people wearing plastic bags on their feet inside their boots. This is in cold and wet high mountain weather. I've tried it and found it to work well, A thin pair of dry socks and a plastic bag on top then put in the shoe. This works well on non windproof shoes in which feet can get really cold in winter. Over here there are no sealskin socks and if there were they would be extremely expensive. I also use the plastic bags to wear wet shoes comfortably home on the bus. Dry out feet, thin pair of dry socks, plastic bags then wet boots. Obviously you have to select the right size of bag. Cheers. I've worn plastic bags over socks in the past. The problem is the bags don't last long. In realy cold (-25C in the Canadian Rockies) I found thin socks, plastic bags, thick socks, plastic bags worked. Plus the plastic bags are useful for stopping your outersocks wetting out with sweat and incurring heat loss. Polar aficionados swear by them. I have a bit of a problem with this advice Chris. It makes perfect sense if you're an experienced walker, summer and winter (or indeed have decades of experience like yourself). But I don't think this is appropriate for folk starting out, especially in the winter when mistakes can lead to more serious consequences. 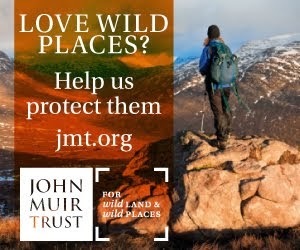 Let them start with 4 season boots and crampons and then learn with time that they don't always need them, not the other way round and get stuck (which happens every winter, folk heading out without the right equipment, trying to push on, then realising they cannot go back same way either - and if they are lucky, getting help). I disagree. Those starting out are very unlikely to spend the money on 4 season boots but they are likely to go out without crampons when they're told they have to have 4 season boots to use them. I know of people getting stuck or having accidents because they don't have crampons. I don't know of any having problems because of wearing light boots and crampons. You mentioned using SealSkinz which I have found effective in wet snow. Have you also tried Rocky GoreTex socks? No, I haven't tried the Rocky socks. I've heard they're good. Rocky's aren't insulated. I've had good luck with Hanz Waterproof socks. They're warm and good for spring conditions. Hi Chris I currently wear grivel g10's with scarpa rebel lite GTX which are rated b1/b2. Could these crampoms be worn with a more lightweight and flexible shoe ? Lee, the G10s are okay with lighter and more flexible boots, as long as they fit. I've used them with Brasher/Berghaus Hillmasters. Hello again Chris...did you enjoy wearing the hillmasters ? Now their berghaus are they still a good boot ? I had a pair of Brashers and really loved them, did most of the wainwrights in them. Never got a blister and only gave them up when the sole got too worn. Would they be ok for tramping round the wet lake district as I'm thinking if getting some as I cannot get on with scarpa....too many blisters? The Brasher Hillmasters were excellent. I wore them in the snow on Bynack More just last week. The Berghaus version looks just as good but the pair I tried were narrower than the Brashers and don't fit me. If they fit they'd be fine for the Lake District.